First I want to show the gloss on Argapa 100. 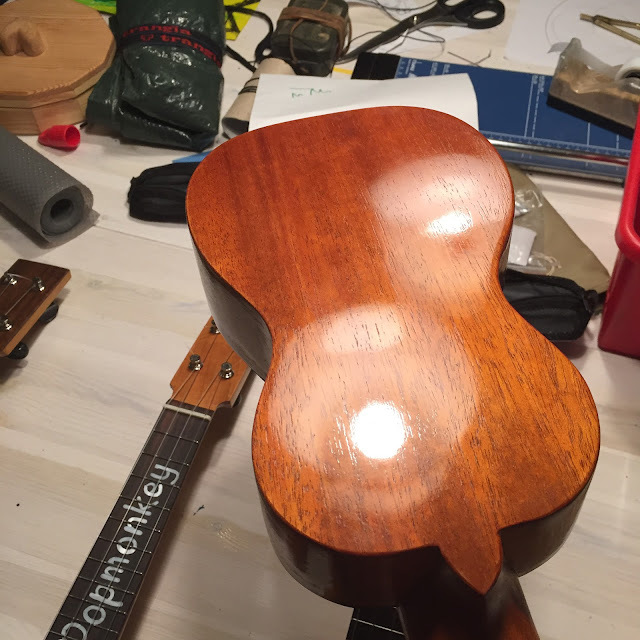 I modified my shellac finishing method, it got a bit awkward in the middle of the process but the result is good. 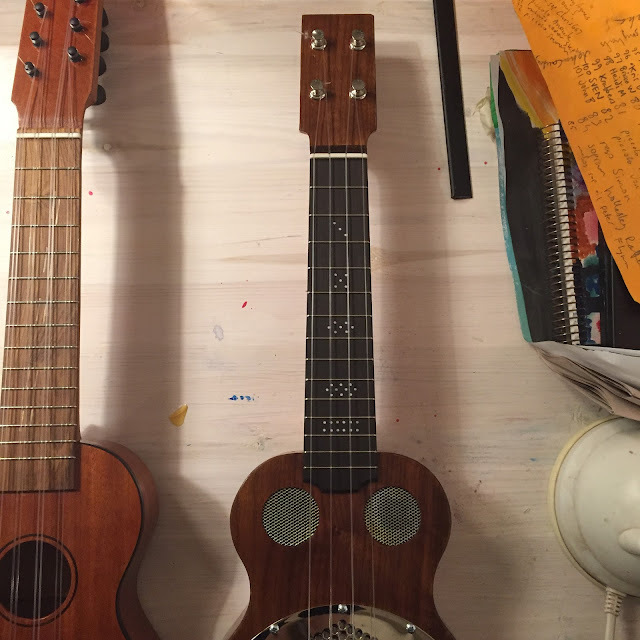 I took a bit of a leap with the string spacing at the bridge, but it works perfectly. Quite easy to imagine the strings colliding but I don't think they ever do. 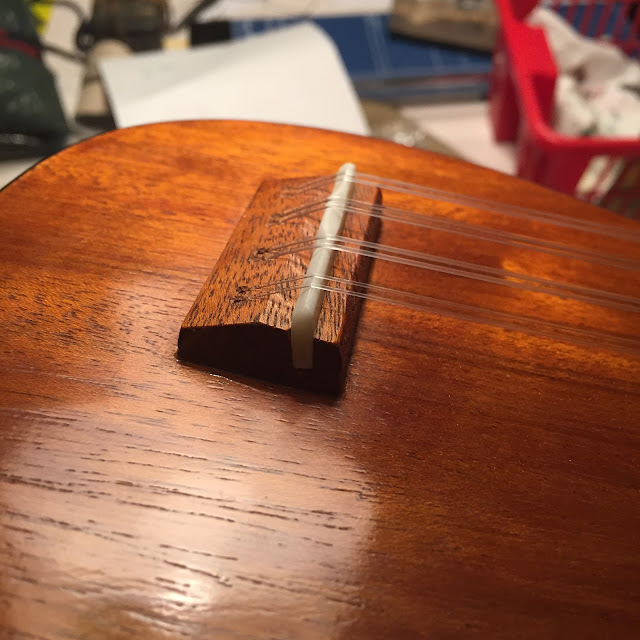 And still, the flat bottom shape that I made nine years ago on my first soprano to facilitate glueing the end block. I like it, it's mine and I won't change it. Andy's reso, number 95. 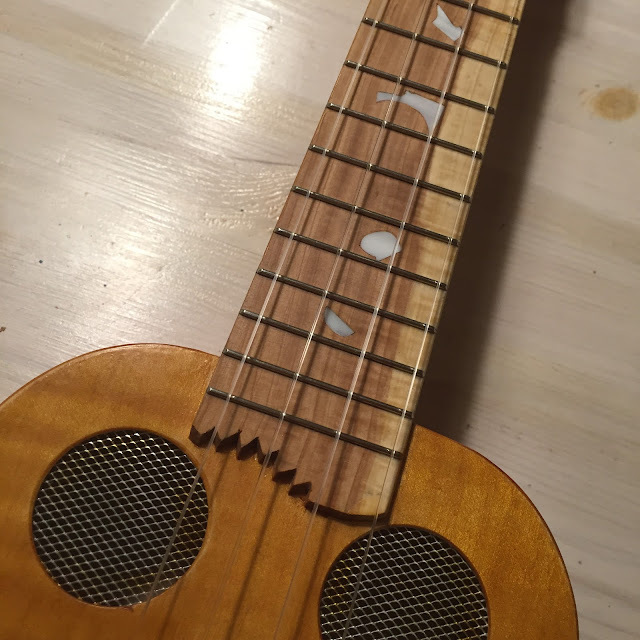 With pinstripe fret markers. 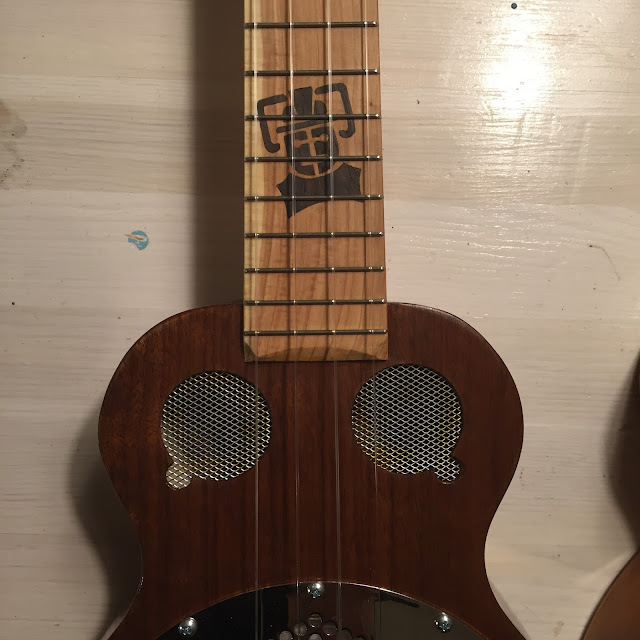 The Dr. Who motifs on Kris's uke, no. 96 (a very nice number, you can turn it upside down). 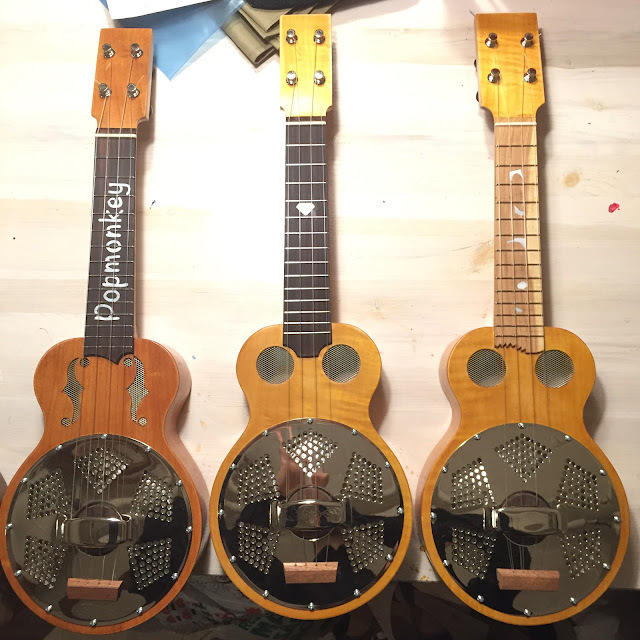 The behemoth mother of pearl inlay project and f-holes for Brian, a.k.a Popmonkey. Brian's again, and Argapas 98 and 99. The latter is for Mike Krabbers and the first is for a hitherto secret customer. 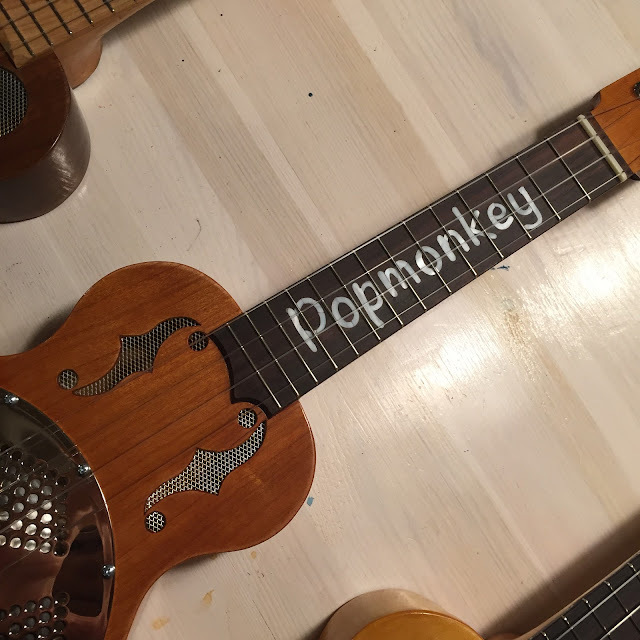 The pearl inlays on Mike's uke are made from the scraps from Brian's fretboard. The shark bite is Mike's own. 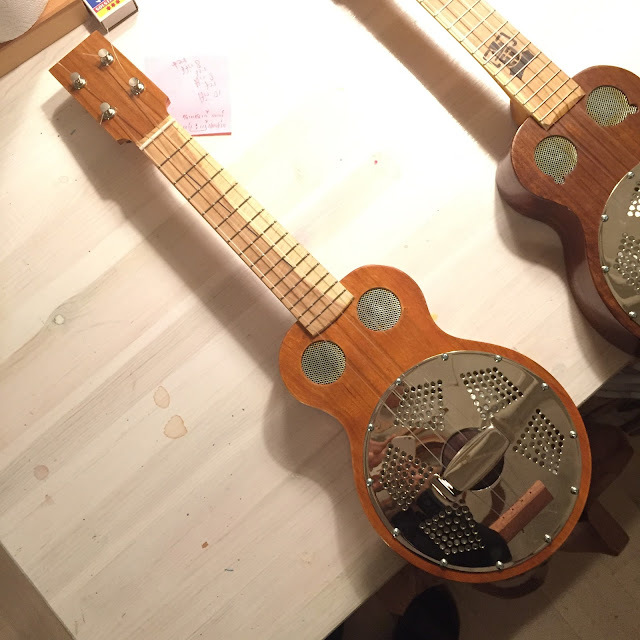 And the last, Argapa 101, with the domino fret markers. 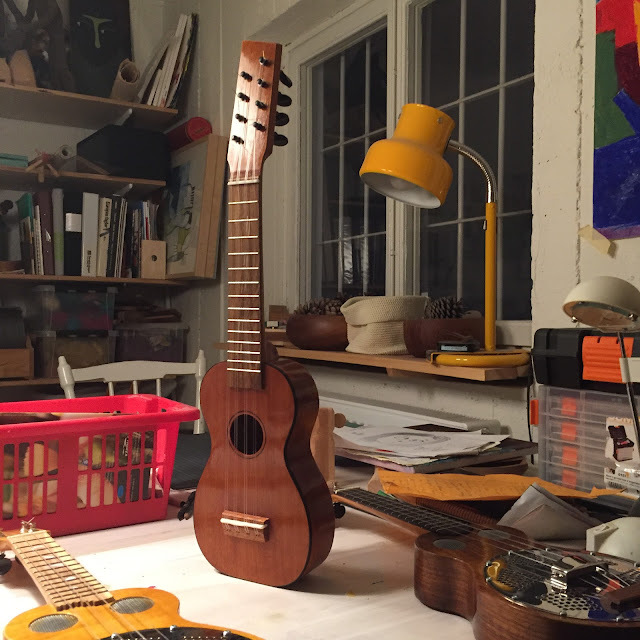 To the right in the pic you can see a part of the very well managed register of all ukes I've built.